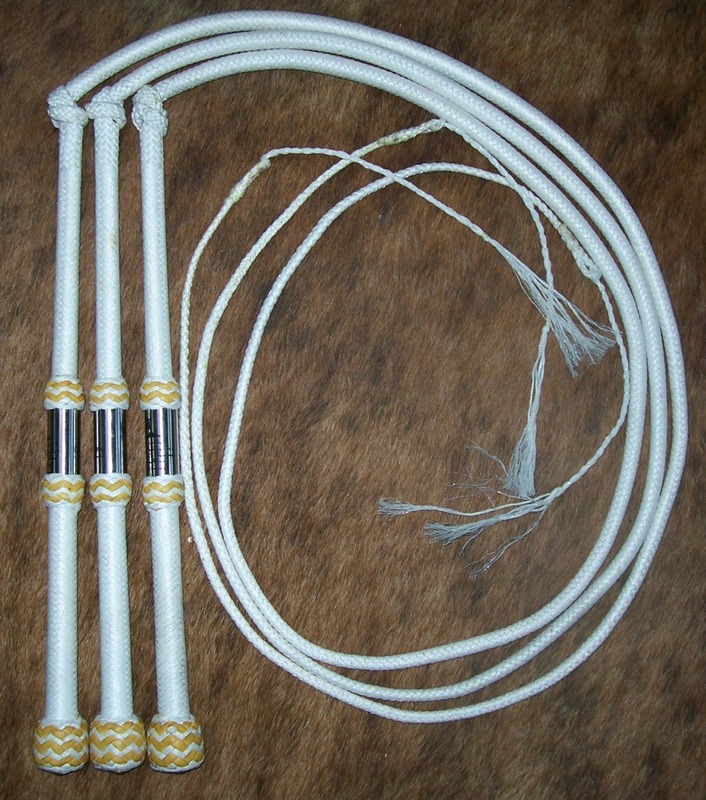 These whips are made from one of the strongest threads available (White only) which has been specially made for me and is called "Whippa" lace. 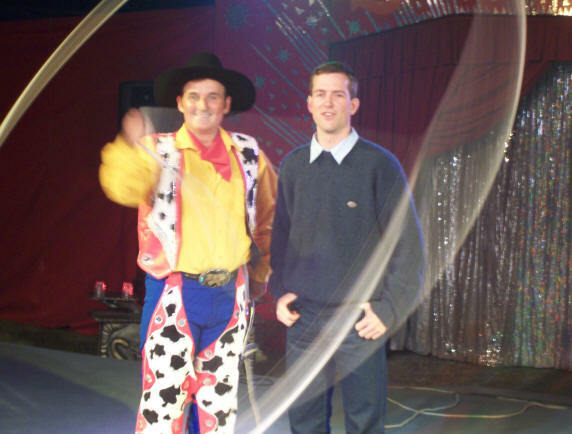 When I first made these whips I was amazed at how they handled, as was Gary Brophy of Sunrise Circus. 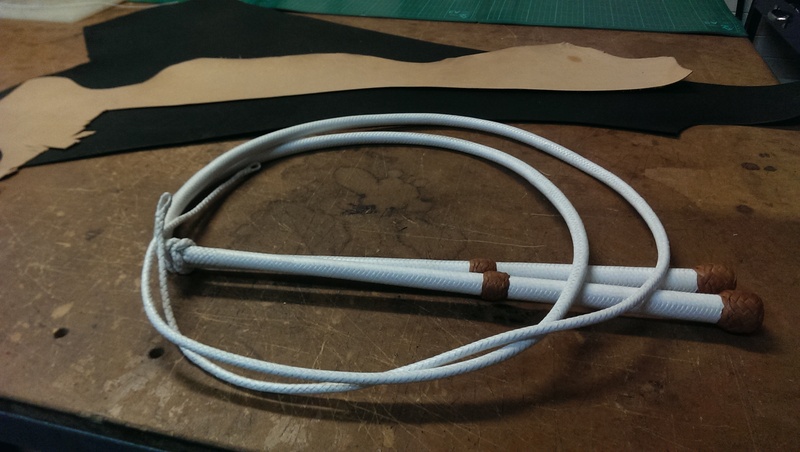 While nothing will ever handle like kangaroo leather these whips are amazing for non-leather. The good thing about them is they can take a beating as the thread is very tough. 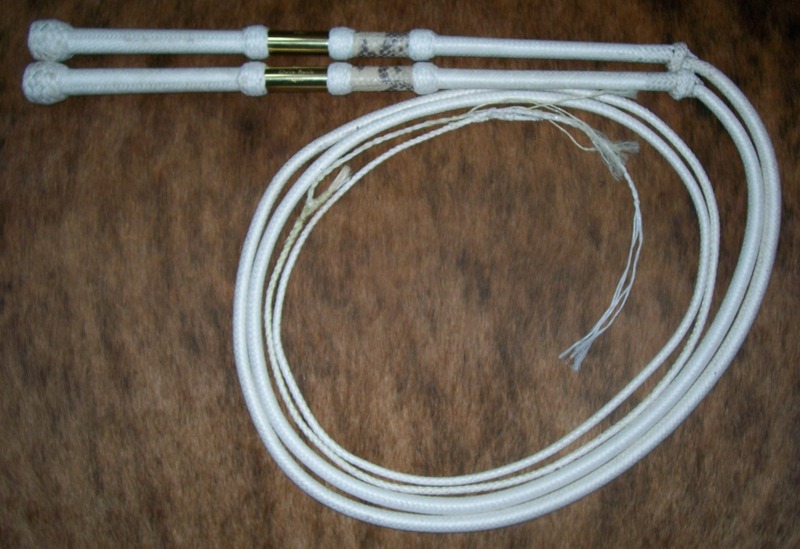 You can use these whips either with the Whippa lace fall or without. This gives you 2 size options in the 1 whip. The "Gary Brophy Signature Whips" are numbered from No.1 onward. 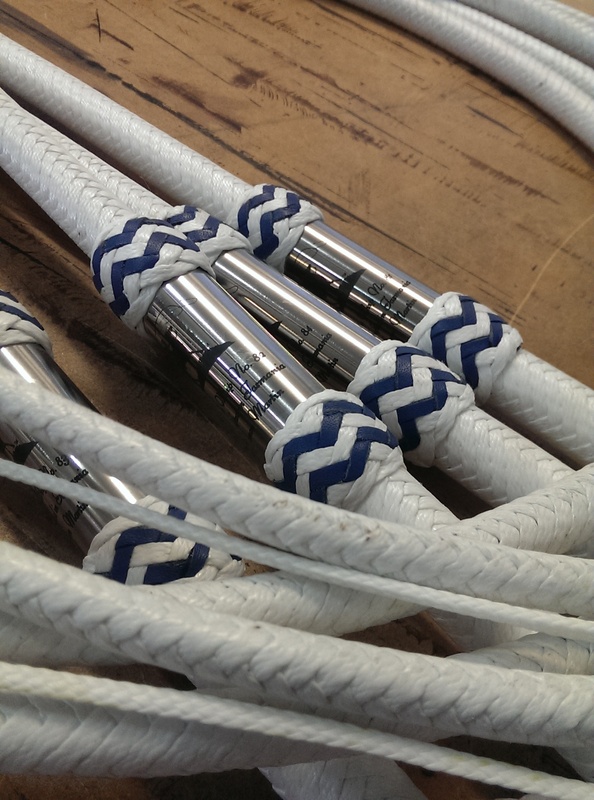 Each whip is 12plait with 16plait handles with Stainless Steel Ferrule. 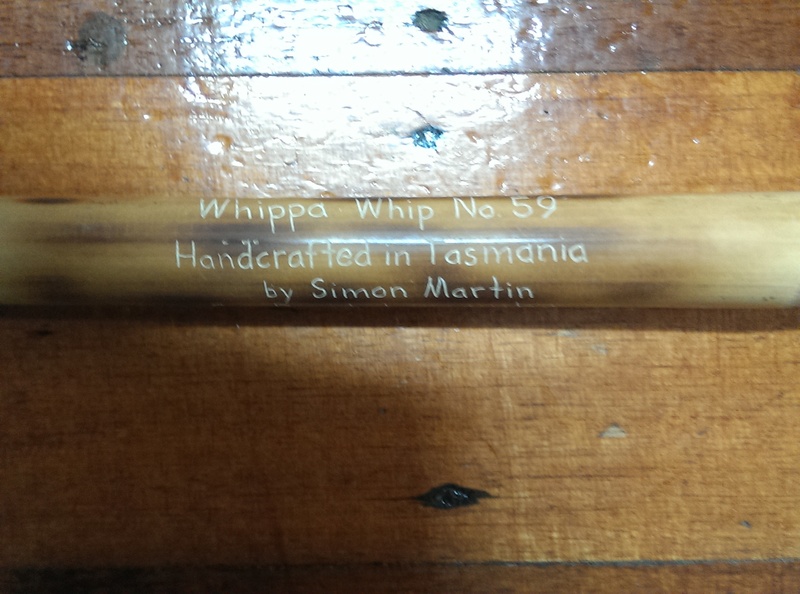 The ferrule will have engraved on it "Gary Brophy, Signature Stockwhip No# Handcrafted in Tasmania by Simon Martin." A certificate of Authenticity will also be included with them. 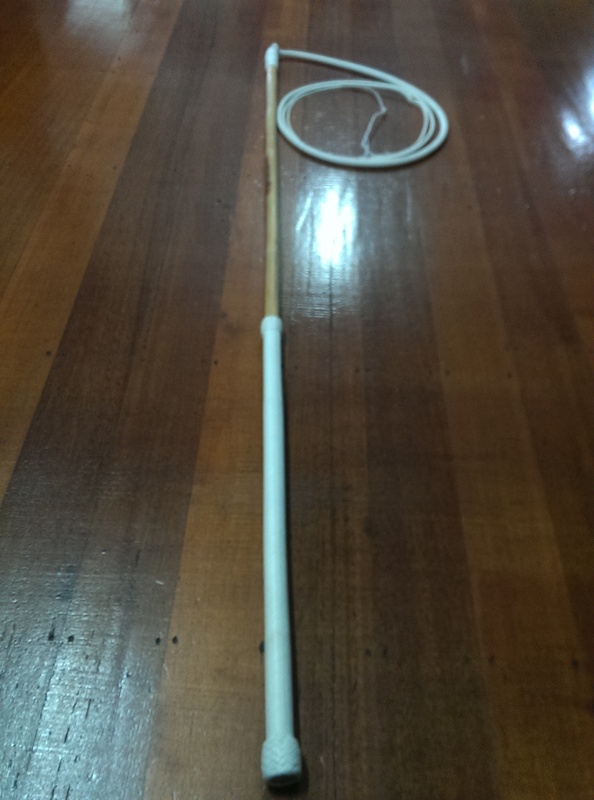 These whips are the ideal performers whips as the white shows up very well and can be washed down, unlike leather. 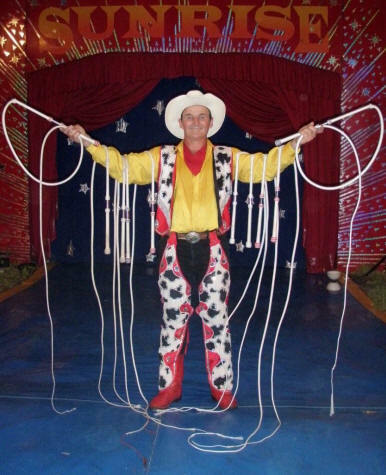 The 4ft size is for fast routines, 6ft size is used by Gary for slower routines and the 8ft for accuracy. Gary and I pictured below and Gary with his "Whippa" whips. 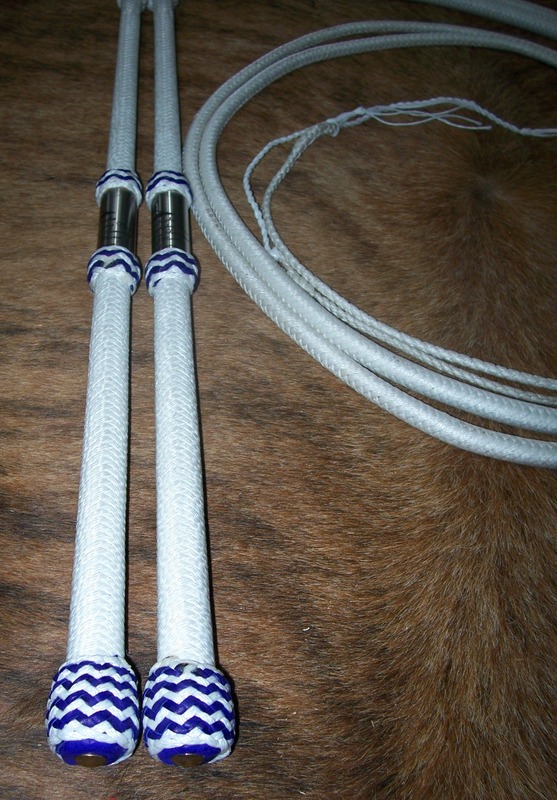 Non-Signature whips can also be made just request a price on the "Whippa Whips" and if you want a ferrule or no ferrule. 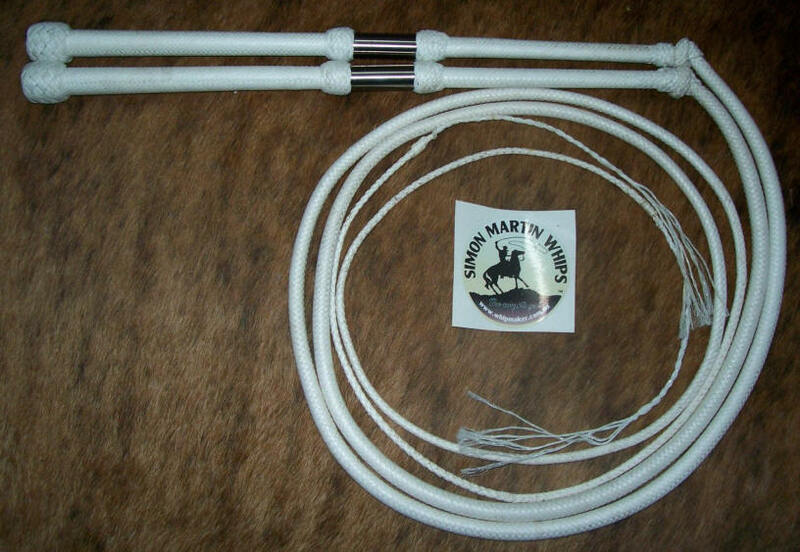 Can make bullwhips to. See pictures below of different ones I have made. Non-Signature whips can also be made just request a price on the "Whippa Whips" and if you want a ferrule or no ferrule. 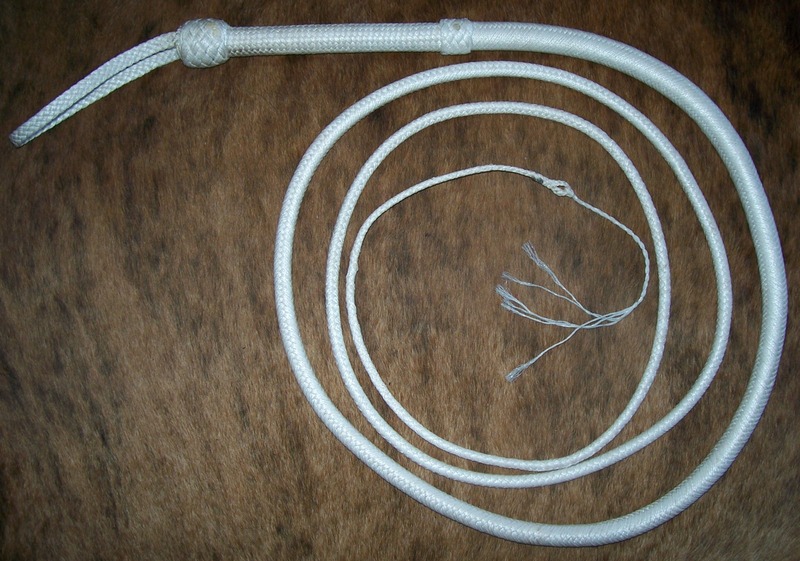 Can make bullwhips to. See all different "Whippa" whips below.